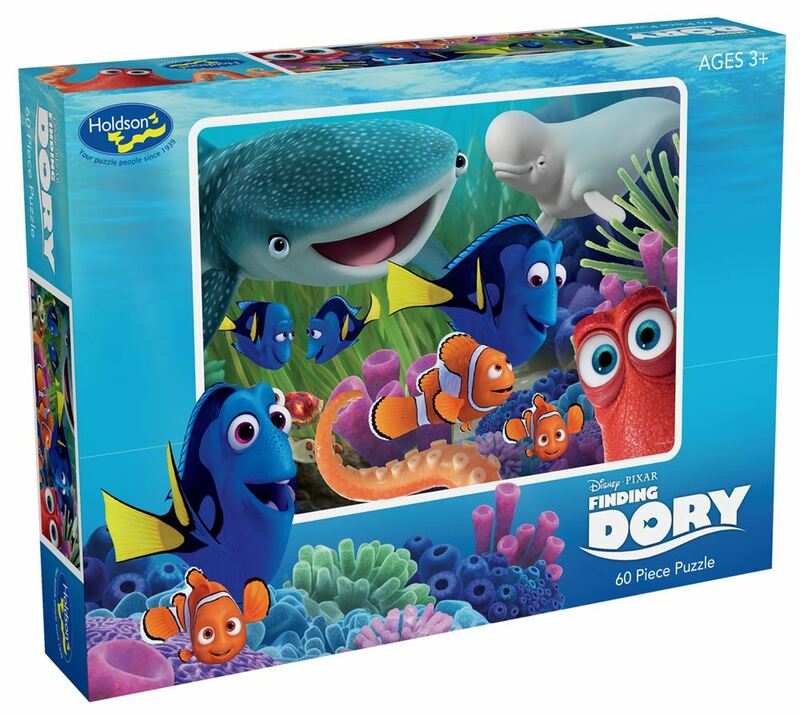 Join the friendly but very forgetful fish, Dory, in this collection Holdson 'Finding Dory' 60pc boxed puzzles. Titles include: Adventure Is Brewing, Marine Life Institue, Migration Going Home and Ocean Here We Come. Each design sold separately. Collect all four designs. Age 3+ years. Made in New Zealand by Holdson. Approximate puzzle dimensions: 340mm x 240mm. Box size: 270mm x 190mm.